"We made an official statement stressing that Georgia will host the UNWTO’s 1st Global Conference on Wine Tourism in September 2016. 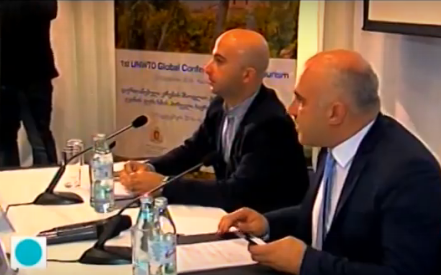 This conference, which is to be held under the auspices of the United Nations, will promote the demonstration of Georgia’s tourism potential as well as the popularization of the country, as a wine homeland all over the world", - said Mr. Chogovadze. To contribute into promotion of wine tourism in Georgia, Hvino.com has launched the first interactive map of Georgia for wine tourists last month. Hvino.com has been the primary publisher of Georgia's daily wine industry news for international audience since 2012.